As an activist, Ou Ning founded U-theque, an independent film and video organization, and Bishan Commune, an intellectual group who devote themselves to the rural reconstruction movement in China. 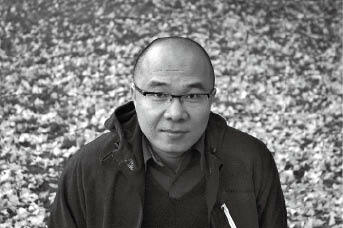 As a publisher, he is known for his seminal book New Sound of Beijing, and his literary bimonthly journal Chutzpah!. As a curator, he initiated the biennale exhibition Get It Louder, and curated the sound project “Awakening Battersea” in the “China Power Station” exhibitions co-organized by the Serpentine Gallery and AstrupFearnley Museum of Modern Art. He was the chief curator of the 2009 Shenzhen & Hong Kong Bi-city Biennale of Urbanism and Architecture, organized the “Shenzhen Marathon Conversation” by Rem Koolhaas, Hans Ulrich Obrist and 30 Chinese leading figures; he also curated “The Solutions: Design and Social Engineering” for the 2011 Chengdu Biennale. As an artist, he is known for the urban research projects such as San Yuan Li, commissioned by the 50th Venice Biennale, and Meishi Street, commissioned by the Kulturstiftung des Bundes. He is a frequent contributor to various magazines, books, and exhibition catalogues, and has lectured around the world. He was a jury member of the 8th Benesse Prize at the 53rd Venice Biennale and the 22nd Milan Asian, African and Latin American Film Festival. He’s based in Beijing, and is the director of the Shao Foundation and a member of the Asian Art Council 2011 at Guggenheim Museum.